BGT's most successful ever Magician. 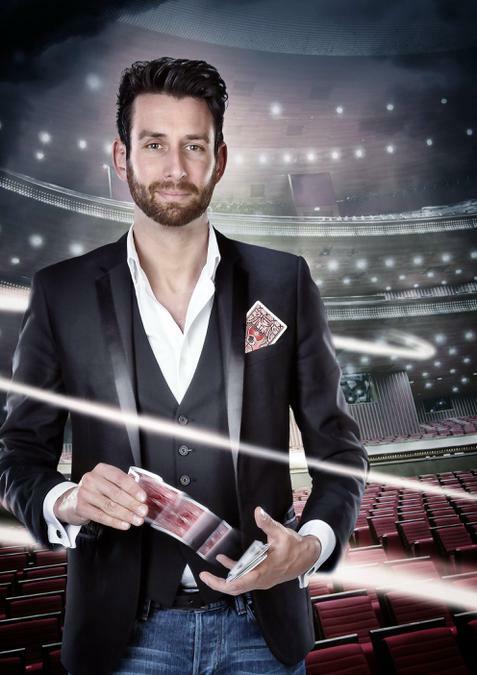 With over 200 million views online is one of the most watched magicians in the world today. Jamie Raven burst onto an unsuspecting world during the 2015 series of Britain’s Got Talent when he famously made Simon Cowell exclaim “I now actually believe in magic!”. His performances not only amazed, but his humble and charming style also captured the hearts of he UK public and others around the world. But it’s not been an overnight success story. Jamie has been perfecting his craft over the past 11 years performing professionally as a magician for the biggest companies and most successful individuals at private and corporate events. But his ambition was always to take it to a wider audience and BGT finally gave him that chance. His opening audition and other subsequent performances have now been viewed online over 200 million times making him one of the most viewed magicians in the world today. Following on from his success in BGT, where in his words he was placed as “Top Human”, he was invited to headline in "The Illusionists" at The Shaftesbury Theatre in London’s West End In November / December 2015. The show took a massive £3.45 million in 7 and a half weeks, and entertained almost 18,000 people in it’s final 7 days, making it the most successful limited engagement the Shaftesbury has ever had in its 105 years in London. Amongst other exciting projects in a very busy year, he was asked to film a series of tricks for BBC Sport, at football grounds up and down the country to highlight the “Magic of the FA Cup” which aired at half time of the televised matches in each round. The BBC also invited him to perform as part of “Bruce’s Hall of Fame" in which he was able to pay homage to one of his childhood hero’s – Tommy Cooper. He was launched as the online face for Talk Talk, promoting their “Amazing things you can do with £10" campaign. And a personal highlight, was an invitation to perform on stage alongside Sir Richard Branson at the world famous Fillmore Theatre as part of the celebrations of the inaugural Virgin Atlantic flight to Detroit.